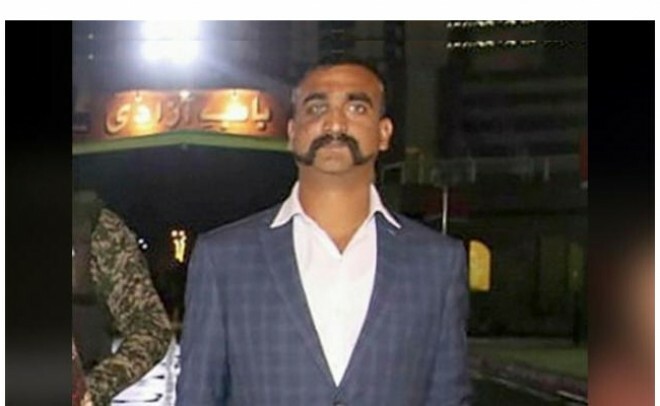 New Delhi, March 2: Wing Commander Abhinandan Varthaman, who was brought to Delhi after he crossed into India through the Attari-Wagah border late last night, has been shifted to an Indian Air Force hostel after a medical check-up at a military hospital, sources said. The IAF pilot, who was captured by Pakistani forces after his MiG-21 went down during a dogfight in which a Pakistani F-16 was also blasted out of the sky, returned home after spending nearly 60 hours in captivity. The pilot's homecoming, which inspired many hashtags on social media, was celebrated across the nation with politicians, celebrities and others saluting his grace and courage in the most dangerous circumstances. "Welcome Home Wing Commander Abhinandan! The nation is proud of your exemplary courage. Our armed forces are an inspiration for 130 crore Indians. Vande Mataram!" tweeted Prime Minister Narendra Modi. Wing Commander Varthaman, who comes from a family of decorated fighter pilots, became for many a symbol of hope and the easing of tension between India and Pakistan after their biggest standoff in years.